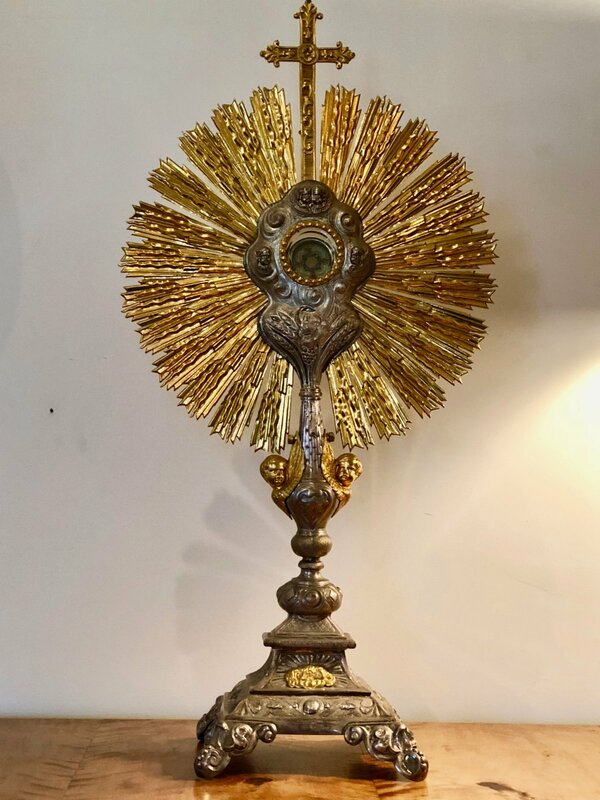 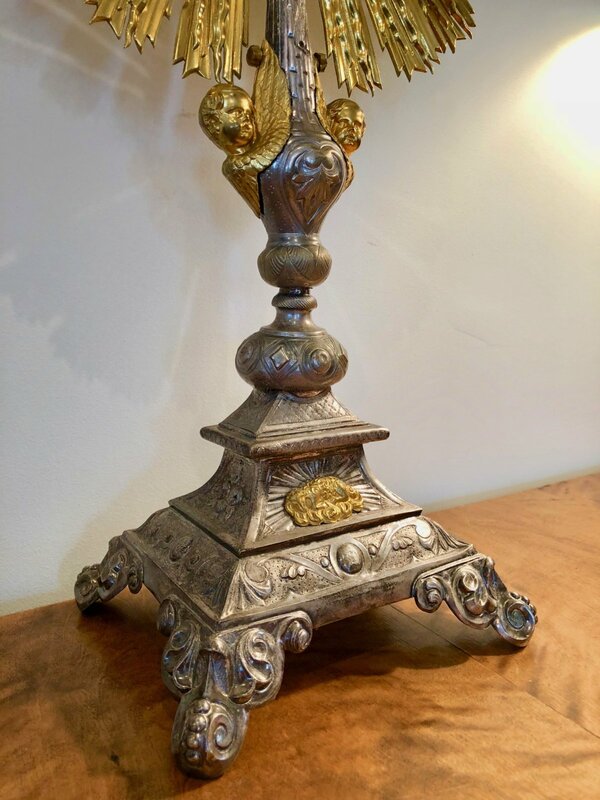 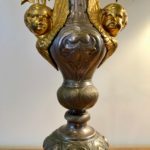 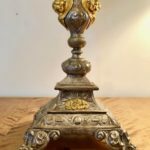 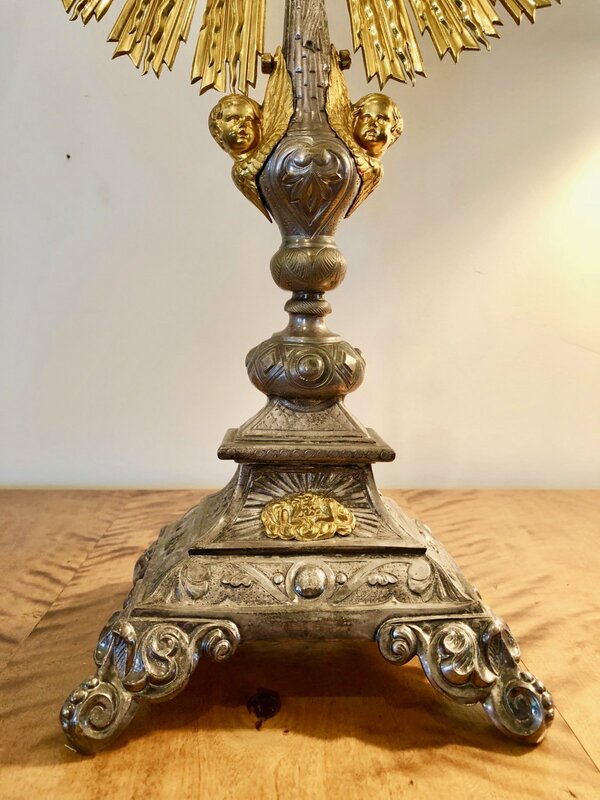 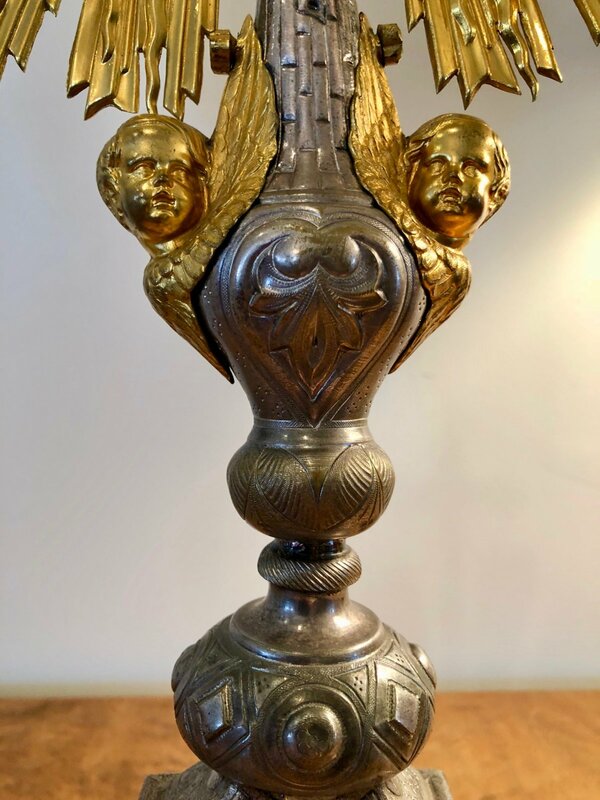 Nineteenth century Baroque style French silver plate and vermeil (silver gilt) monstrance decorated with cherubs. 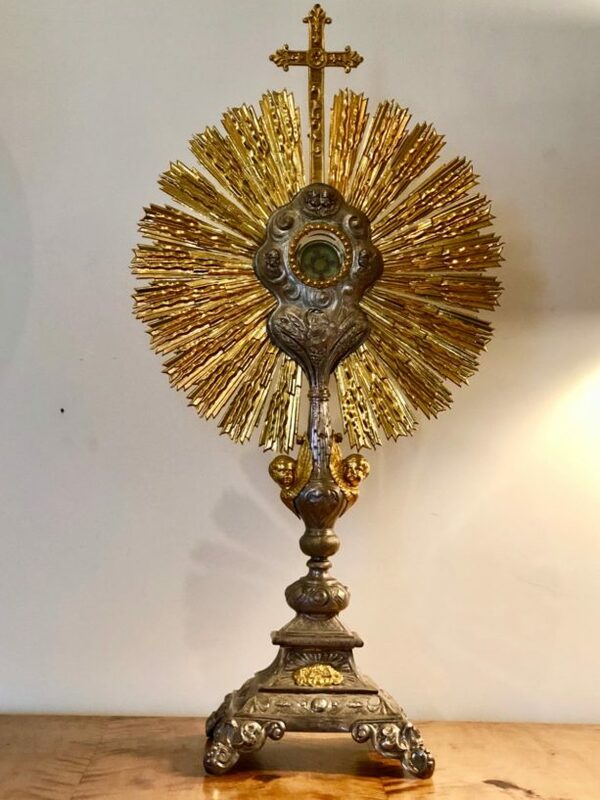 The rays of the radiant sun is typically 19th century French design, as well as the lamb of god decoration to the base. 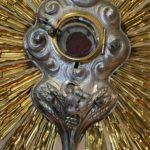 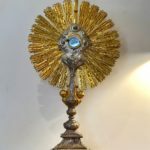 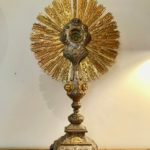 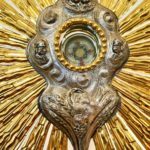 The centre of the Monstrance is surrounded with rays, surmounted with a cross. 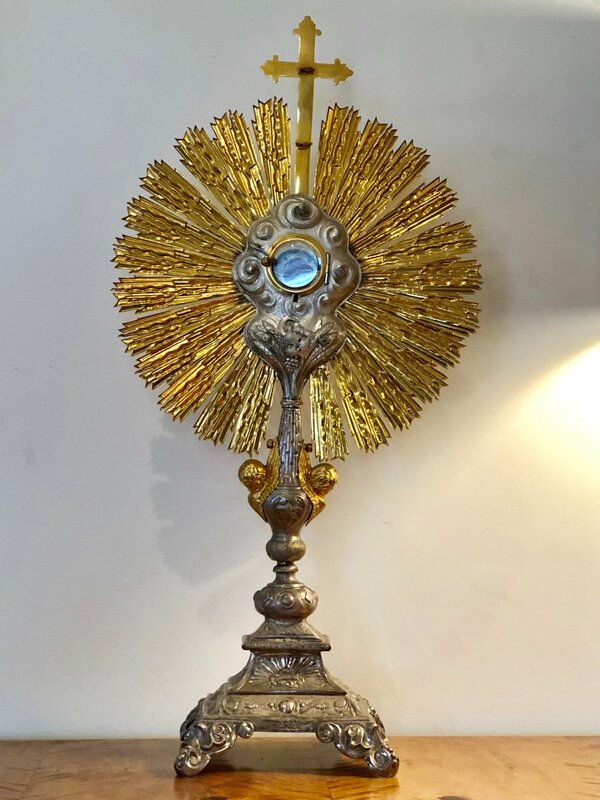 In the middle of the rays, the central luna glass is surrounded with raised cherubs in clouds. 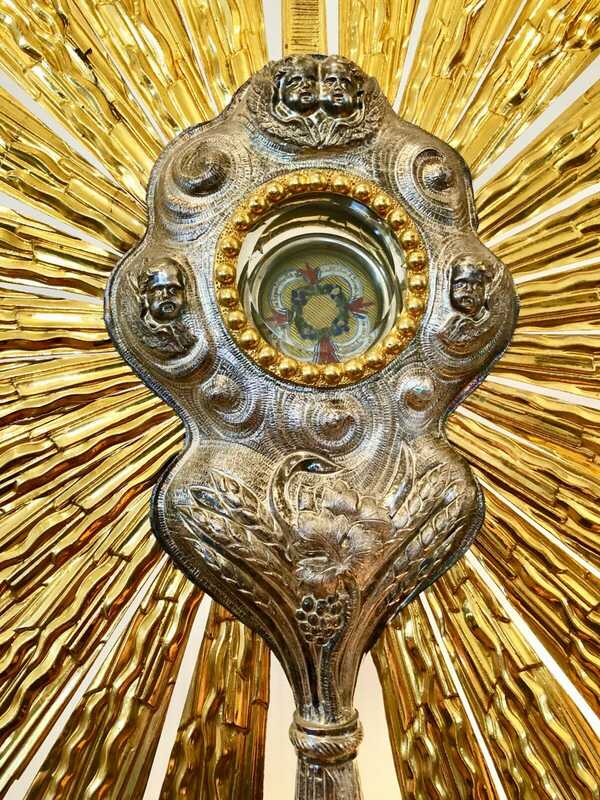 The luna is also surrounded by wheat and grape images, an emblem of the Eucharist. 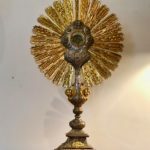 The wheat (the host) and the chalice of wine (grapes) representing blood of Christ. 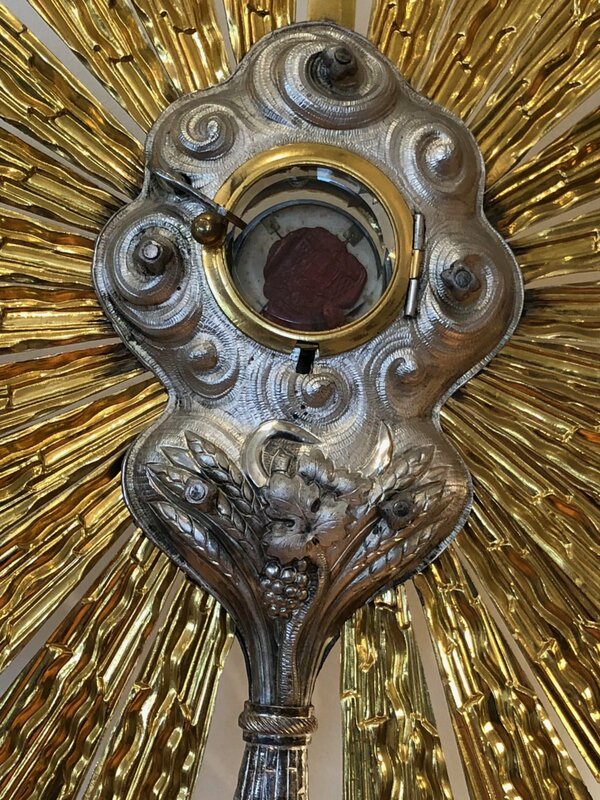 Inside the luna are four relics , complete with the original wax seal with the wires still intact. 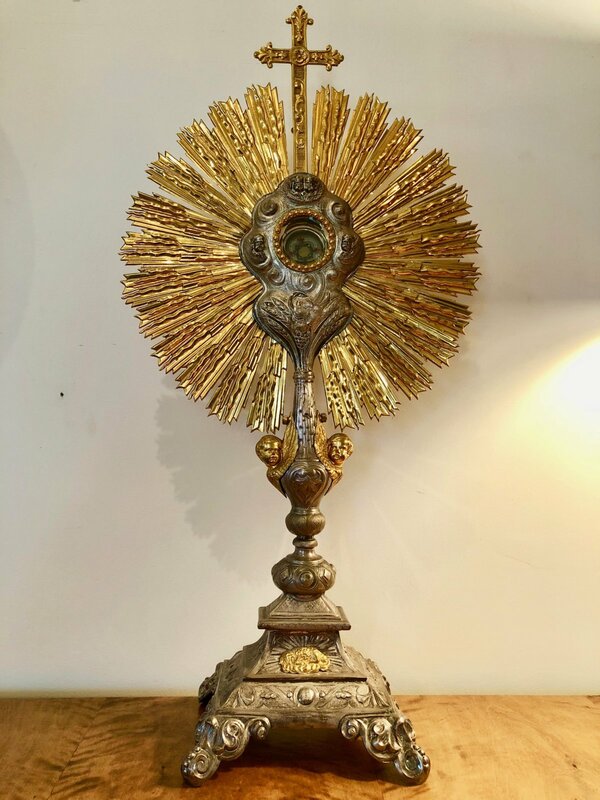 The stem of the monstrance is decorated with a pair of silver gilt cherub heads. 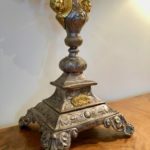 The base stands on four scrolled feet.